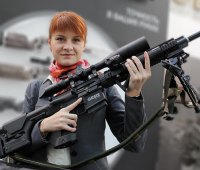 The head of a major Colorado media company hired now admitted Russian spy Maria Butina to help him create a television show starring Vladimir Putin as a conservation-minded outdoorsman. 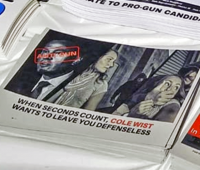 Colorado state representative Steve Humphrey (R-Severance) shared a photo of a flyer that accuses his party’s Assistant Minority Leader, Rep Cole Wist (R-Centennial) of wanting to prevent women from being able to defend themselves. 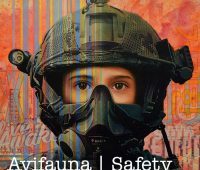 A pair of state representatives introduced a bipartisan bill to address gun safety and mental health. 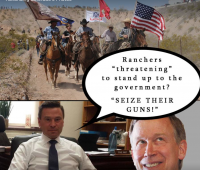 Despite several prominent Republican elected officials publicly supporting the bill, Rep. Cole Wist’s (R-Centennial) decision to sponsor it with Democrat Alec Garnett (D-Denver) prompted immediate outrage from some of his Republican colleagues. 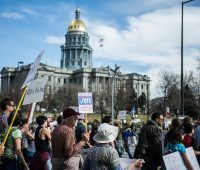 Tens of thousands of Coloradans filled Denver’s Civic Center Park on Saturday as part of the national March For Our Lives rallies for gun safety. Seventeen year-old Maddie King, a survivor of the Marjory Stoneman Douglas High School shooting in Parkland, Florida, was the keynote speaker. These are just a few of the images from the event. Photos by Brett Littleton. Though not pictured here, additional events took place all over the state, including Colorado Springs, Basalt, Vail, Grand Junction and Fort Collins. Just before noon on November 27, 2015 — a gray, wet, and snowy day in Colorado Springs — the tragic shooting assault on the clients and staff of a Planned Parenthood clinic, the subsequent shoot out and standoff with first responders, and the eventual arrest of a suspect in the shooting forced a community to directly confront the manifest threat of ideology-inspired violence against abortion providers, and to begin the difficult task of healing for victims and the community.